-Together with CaO, BaO, and MgO it is considered one the Alkaline Earth group of oxides. It has a cubic crystal structure. -Does not break down till about 1100C (cone 02) so it is not useful as a predominant glaze flux below this temperature (although it participates will in low fire frits with others). Thus SrO must thus be employed in frit form below 1100C to be effective as a flux. 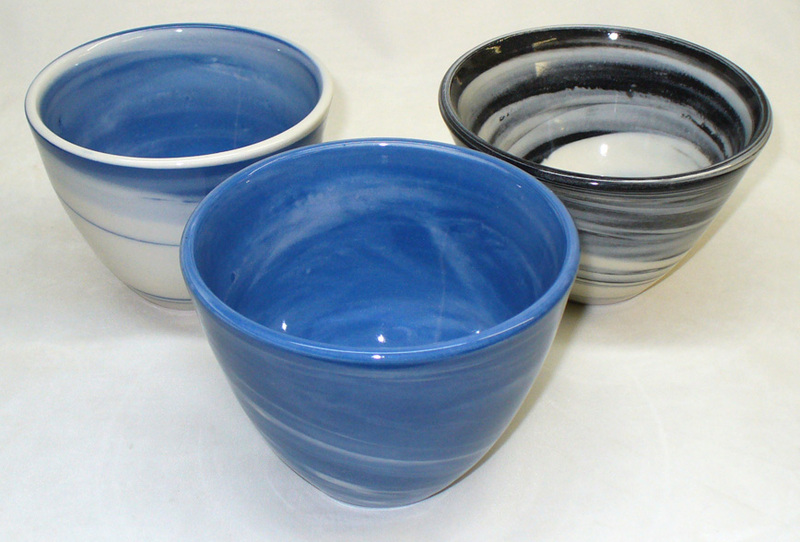 -In stoneware glazes, substituting part of the CaO for SrO often produces a glossier surface (because of its high refractive index). -It has an expansion akin to CaO and a similar decomposition behavior. -Strontium compounds have not been widely used until more recently because of their more limited availability (although the value of this oxide has long been known). But now strontium containing frits are common, especially where priorities are brilliant glaze finishes while keeping the thermal expansion low. It has been been compared to lead for this reason. -It is very useful at lower stoneware temperatures (i.e. cone 1) for high gloss, craze resistant glazes which develop a good interface with the clay body. The interface development is thought to occur because of the mixed-oxide effect (bodies do not normally contain SrO). -Strontium is important because of its non-hazardous, non-poisonous nature. With it, glazes of all temperatures can be made free of lead and barium (in spite of its different expansion, it can even be a viable substitute for small proportions of lead). Glossy glazes melting as low as cone 01 without any zinc are possible (long soaking periods may be necessary). Like lead, strontium also develops vivid colors. -Even though it has a very high melting temperature, SrO is effective in combination with other fluxes at lower temperatures (if it is added in fritted form). -Like CaO and ZnO, it forms a crystal matte surface on cooling if dominant in the RO group. Conversely, a diversity of fluxing oxides associated with SrO will reduce crystallization. -Small additions of SrO can improve the surface of viscous high fire zirconium glazes. 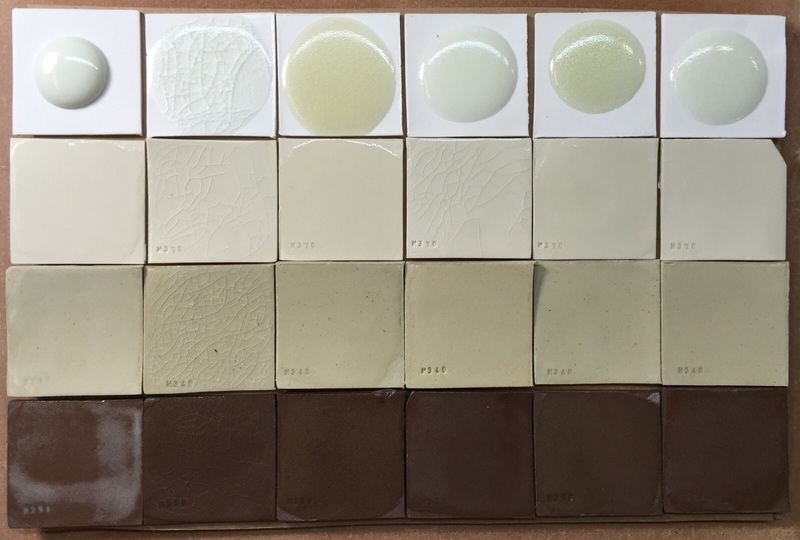 -If BaO is replaced in whole or in part with SrO, glazes can develop better interface and have a lower expansion. However, they may also be less elastic than those formed by Ba and this could lead to fit problems where body and glaze are not closely compatible. SrO has a different color response than CaO to copper and cobalt; it has a lower expansion, and is a little more powerful at fluxing. -The lower temperature decomposition of raw strontium carbonate potentially produces an earlier reaction of SrO giving the melt more time to clear of bubbles and pits. Like calcia and baria, it will produce a fine crystalline mesh to give attractive satin matte surfaces.